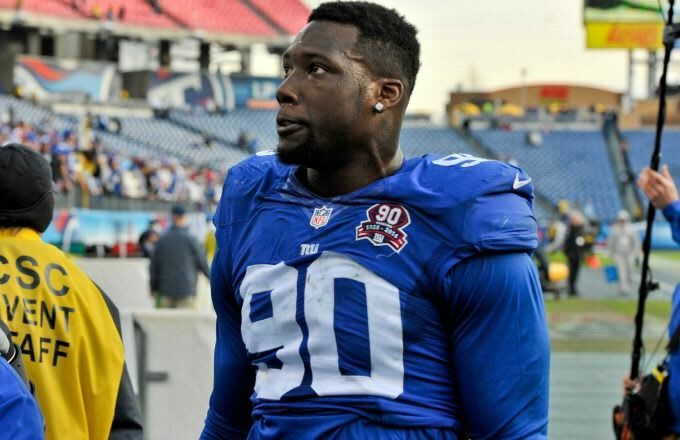 Jason Pierre-Paul had hoped to return to the Giants early in the year, despite suffering a July 4th fireworks accident that resulted in his right index finger being amputated. But it now appears that there was more damage done than he initially may have let on. ESPN&apos;s Dan Graziano is reporting that in addition to the index finger being lost, JPP is also missing the tip of his right thumb as a result of that very same incident. Graziano reported on this initially a few days ago, while mentioning that this latest development could cause Pierre-Paul to miss the entire NFL season. The reason that this story is so compelling (besides, you know, a professional athlete doing something that could jeopardize his earning potential for the rest of his life) is due to the amount of money Pierre-Paul could stand to lose if he&apos;s out for the year. He hasn&apos;t signed the $14.813 million franchise tender that he earned when the Giants made him their franchise player back in March, because he would lose a check for every game he missed if the team put him on the non-football injury list. It&apos;s unclear how this will all ultimately shake out, but man, the details of the situation only seem to be getting worse.